What I suspect, with LEGO outsourcing many things to China, China is fulfilling the quota of parts, but making a few extra on the side, in the process -- I doubt there's any agreement in place to what the machinery does after the quota is fulfilled -- so minifigures are being sold to different distributors and repackaged. I also suspect, LEGO Retail is waging a war with BrickLink sellers -- seeing the amount of money being spent on after market LEGO -- LBR is using this to justify reducing discounts and many policy changes -- damaged sets use to be on discount at 20%, now it's 10%; opened & returned sets use to go into grab bags, to which many LUG used to help bulk up collections; etc. But honestly, I think LEGO is losing the war -- the amount of money they're losing through discounts to North Americans vs. outsourcing to China, has got to be comparing a trickle of water to a tsunami. You can't use the quality argument for not buying any of the above -- I suspect the makers of the above make the same quality of parts for LEGO. Unless I do a side-by-side comparison, would there be any differences? If it's minor, would it matter in a large fan display, considering if I bought some of the above at 50% of LEGO's price or better? I makes you think if TLG & LBR has their priorities a little backwards. 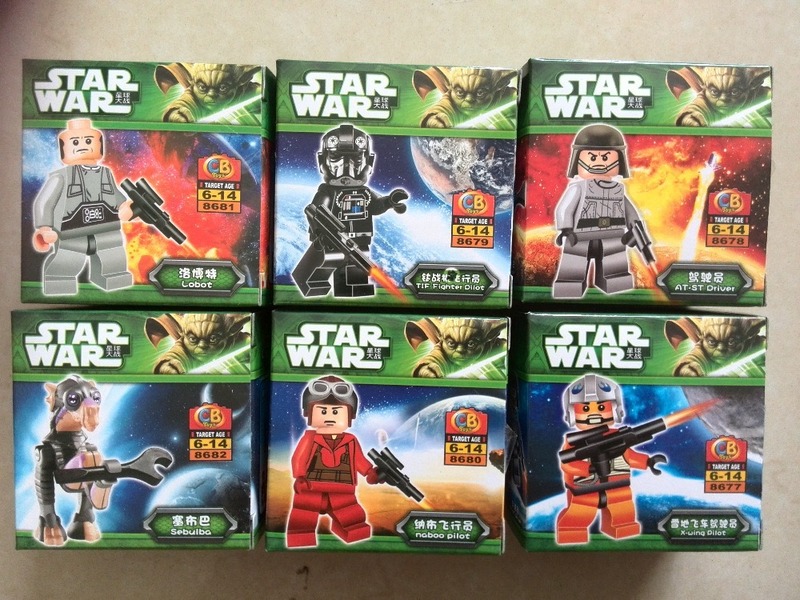 LEGO absolutely does not outsource to China. They are made in three factories: Billund in Denmark, Nyíregyháza in Hungary and Monterrey in Mexico. The quality control process they use is unmatched - when was the last time you heard of ANYONE having a missing piece in a genuine LEGO set? What I suspect is going on here is that knock-offs are using genuine LEGO parts to create their molds, and then cranking out their counterfeits. I have always insisted on the genuine article, myself; there is a noticeable difference in quality between LEGO and Mega-bloc or other off-brands. I have LEGO bricks in my collection which are over 40 years old, and they still work perfectly with the ones I might have bought yesterday. Yes, genuine LEGO is expensive... but your great-grandchildren will probably be able to play with the sets you had as a kid, and that's worth a little extra money, I think. I agree with you that LEGO has good quality, but it's been slipping since roughly 2000 with their financial problems -- there's the purple debacle with the first Harry Potter Bus (each purple part was a different shade), and recently with the Halloween set, the pumpkin was several shades of orange. It's been too expensive for the company to maintain the same level of quality of parts without some type of outsourcing. I don't argue that LEGO doesn't have a high quality -- I agree, that's why I'm a fan -- but I argue that the quality of the clones will get better. Then what will LEGO have as a competitive advantage over their competition?